SPAR Hungary’s Lifestyle Programme has grown to include an increased range of health-conscious products as well as a handy recipe book for shoppers. The new book includes advice from skilled nutritional specialists and trainers and the recipes have been compiled by professional food stylists and bloggers. Ever since it’s entry into the domestic market in the early 1990s, SPAR Hungary has highlighted the importance of a healthy lifestyle by promiting quality nutrition and exercise. The release of the new recipe book, “ét & rend” (diet and order), which offers healthy recipes that are easy to prepare at home or at work, shows SPAR Hungary’s continued commitment to this cause. So far this year, SPAR Hungary has almost doubled the amount of its health-conscious and special diet foods, increasing the range from 640 to 1,100 products. In the dried goods, dairy and meat categories, the number of organic, gluten- and lactose-free products, as well as other products related to special dietary needs, have rapidly expanded. SPAR Hungary expects an additional growth of the range in line with customer demand with, for example, more plant-based cheese products becoming available. “SPAR Hungary has long been supporting its customers in leading a healthy lifestyle. This year’s expansion of the healthy product range also serves this purpose, with the introduction of many new vegan, organic and allergen-free products. 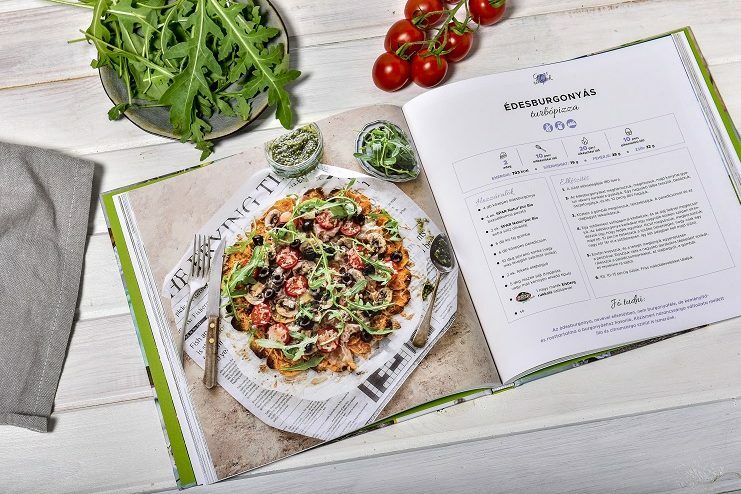 The handy new recipe book is a perfect addition to our Lifestyle Programme, which also puts a focus on the promotion of sport and exercise in general,” said Márk Maczelka, Head of Communications at SPAR Hungary. In addition to cooperating with the Hungarian Student Sports Association and sponsoring regular domestic sporting events for the general public, SPAR Hungary also sponsors key international sports events. In July for example, it was a proud sponsor of the U18 European Athletics Championships in Győr, providing substantial on-the-ground support as well as product tastings and fun games at its SPAR tent. The SPAR Partner is also the proud sponsor of Hungary’s largest running event of the year, the SPAR Budapest Maraton® Festival. The 33rd edition took place on 6-7 October and attracted huge numbers of runners, including experienced athletes and celebrities. This year saw popular TV presentor, Nóra Ördög, compete and in the lead up to the race, fans were able to follow her training schedule.